This is the logo of Capital Immigration, a CBI consultancy, located in Dubai, UAE, that markets directly to Iranian nationals; A portion of their website appears in Persian (Farsi), and their three principals are from Iran. The website actually explains that CBI clients can take advantage of Dominica's Deed Poll Law, and may legally change their name one year after obtaining their CBI passport. One final note; the website even advises that the client's previous legal name will not appear on their passport. 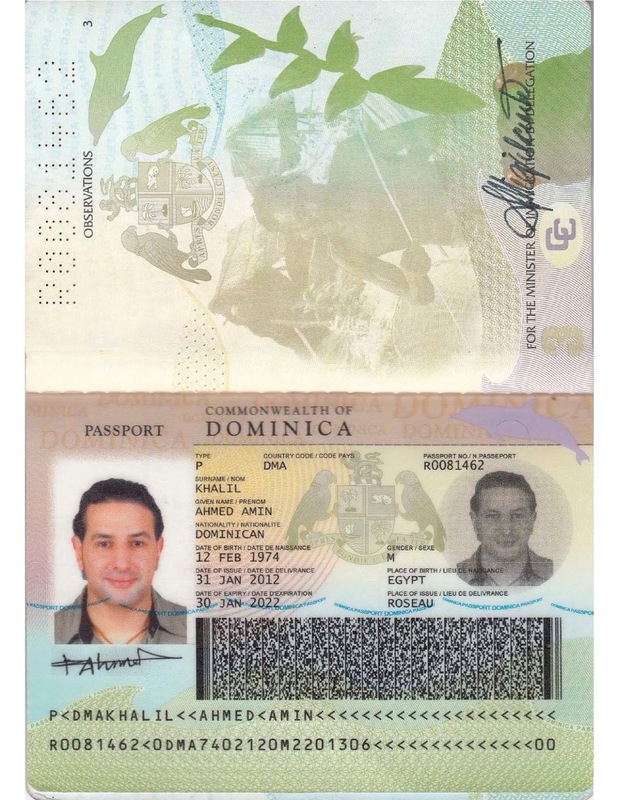 We know from the records of cases involving CBI-holding sanctions evaders and money launderers, who were subsequently arrested, that these dodgy characters always make sure to list their nationality and citizenship as "Caribbean State of Dominica" wherever they are operating, to avoid the attention that Iranian nationality brings with it in the international, sanction-adverse business world. What's left ? Changing your date and place of birth ? I wonder if the good folks at Capital would have some constructive suggestions about that as well. 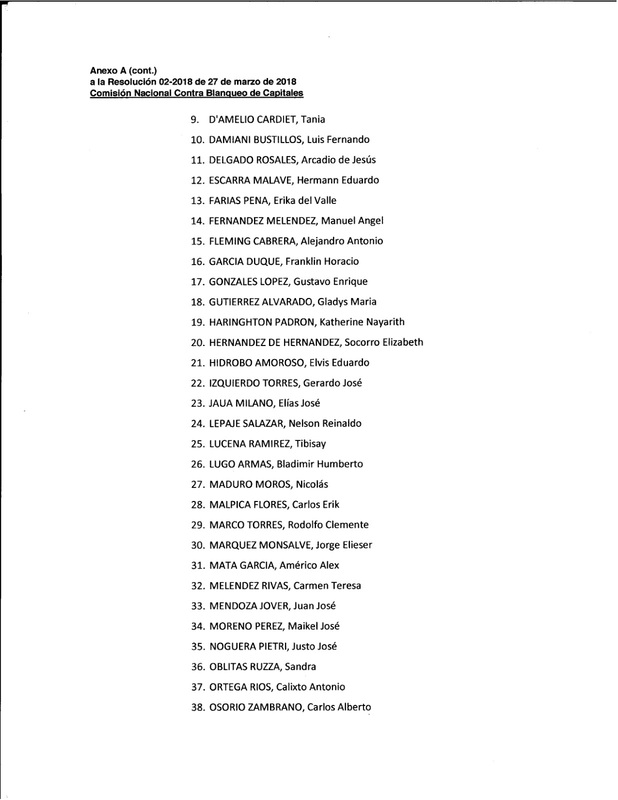 The Anti-Money Laundering Commission of the Republic of Panama has issued a list of 55 Venezuelan nationals considered to be High Risk for money laundering, terrorist financing, and financing weapons of mass destruction, together with a smaller list of corporate entities also blacklisted for that purpose. This is a major blow against the Government of Venezuela, and its senior leadership, many of whom have been accused of those very criminal acts by the United States. Included on that list are President Nicolas Maduro, Diosdado Cabello, the de facto number two in Venezuela, Tarek Saab, who is its Attorney General, Adan Chavez, the brother of the late Hugo Chavez, and many other senior government officials, as well as Politically Exposed Persons, or PEPs. The recently released NGO report* on systemic corruption, at all levels, in the Palestinian Territories, should be noted in the context of new invitations extended to wealthy Palestinians, who wish to obtain CBI passports in the five East Caribbean states that offer these programs, as well as any potential future programs elsewhere in the region. The report, which may be accessed here, will shock you, when you see the universal corruption that is denying the Palestinian Territories any viable economy, without massive amounts of foreign aid. In addition to the Panamanian invitation, CBI real estate developers in the Middle East have solicited affluent Palestinians for a pending Grenada, as well as a potential St Vincent, CBI project. 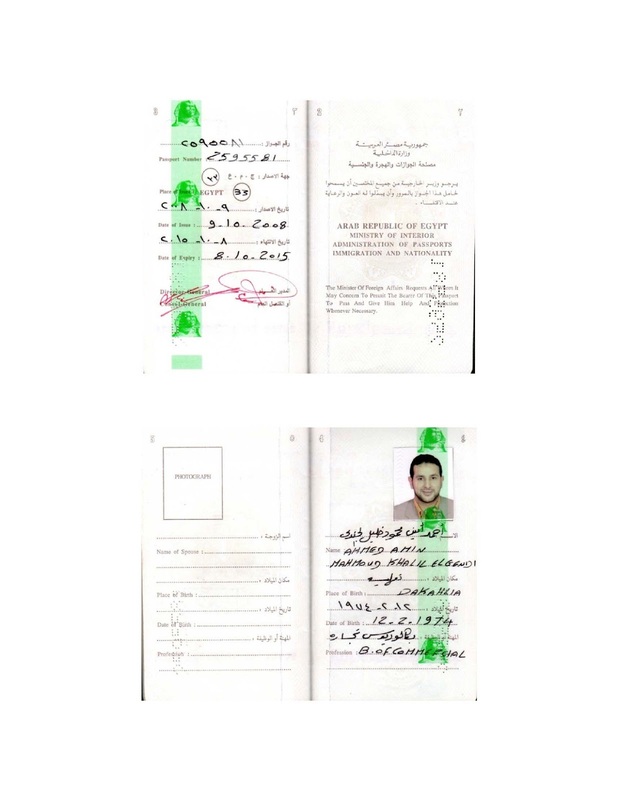 Considering that most of the Palestinian millionaires earned their fortune through corrupt activities, there is a presumption that any Palestinian CBI applicant cannot pass a traditional compliance Source of Funds test, and that those who receive CBI passports used dirty money for the purchase, with the Willful Blindness of the CBI program head that signed off on his application. Factor in the possibility that the CBI applicant may be a Hamas, or Palestinian Islamic Jihad agent, and you have a perfect storm, withe the East Caribbean state's banks right in the firing line, for terrorist financing facilitation charges, money laundering, and other financial crime in support of terrorism exposure. The last thing the East Caribbean countries need is to be targeted by US and UK counter-terrorism task forces; any applicant born in the region, or claiming Palestinian nationality, should be subject to strict enhanced due diligence, prior to the acceptance of any CBI funds, except for the application process. 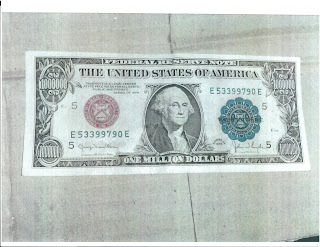 Readers who were wondering why the most recently spotted version of the North Korean-manufactured USD$100 "Supernote" was a Series 2006, which was produced in the US prior to the implementation of strict anti-counterfeiting safeguards, should be aware that the counterfeits were NOT made in 2017, but several years prior. The note found late last year in a South Korean bank, as well as other exemplars found, have a musty aroma, from obvious storage for years. Additionally, reliable sources advise of the existence of stored quantities of the Series 2006 version several years in the past, and the previous appearance of a quantity in the Middle East, leading to the presumption that they actually were manufactured at a date close to that which appears on the bills. The 2006 Series was the last version prior to major changes in design, paper, hologram, strip, micro printing, and other protective measures, and the North Koreans, if printing in 2017, would choose a recent version, to facilitate acceptance when their bogus notes were passed or sold off in bulk. 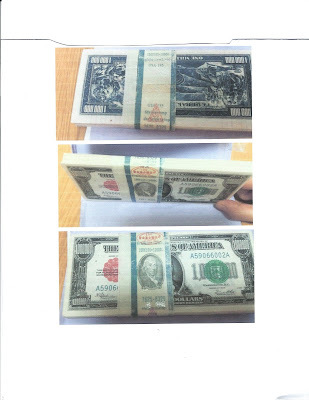 We again caution bankers against accepting any quantities of USD$100 bills bearing the date 2006. Should you already have such items in your possession, running them through a deposit procedure on an automatic teller machine (ATM) should result in their rejection by the program, and therefore confirmation of their counterfeit status. Typically, only a small percentage of any quantity of 100s are 2006; Just as you may now decline pre-1999 Series bills, place the 2006 version on same status with your tellers, and ask them to be attentive to anyone seeking to deposit the same in an account. 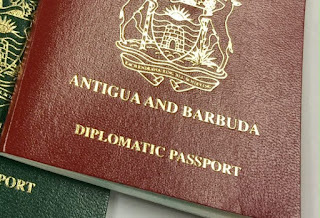 Sources who are in contact with government officials in the United States, Canada, and the EU, engaged in joint preparations to create regulations that will effectively combat the threats posed by criminal elements who have obtained CBI passports from the five East Caribbean countries, advise that the final steps to implement effective measures are underway. (1) Changing the legal name of the client on his CBI passport. (2) Altering his place of birth, or deleting it altogether, (a ploy that caused serious damage to the legitimacy of the St Kitts program, until it was restored). (3) Changing the date of birth on the CBI passport. This is a particularly egregious tactic, according to compliance officers who are responsible for excluding criminals and others who pose a danger, and customs and immigration officers charged with excluding clear and present dangers to their nation. All of the above actions are deliberate efforts to defeat any computer searches seeking to properly identify the CBI passport holder. We have seen some preliminary actions already; an Attorney General from Trinidad & Tobago detained and interrogated, Caribbean nationals who bags & baggage were extensively searched, and their business interests subject to probing questions. When the average West Indian, arriving in an airport of entry, either in North America or Europe, has to experience high-risk treatment, the blow back to Caribbean politicians will be deafening. Perhaps at that point, the CBI jurisdictions will have to consider a major reform of their programs, especially the due diligence phase of each investigation. 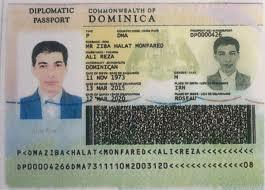 DID SEMLEX PRODUCE THOUSANDS OF DOMINICA PASSPORTS THAT WERE SHIPPED TO MOROCCO ? With the Syrian-owned Belgian company Semlex much in the news these days, it might be important to inquire into whether the company is the firm that quietly manufactured several thousand Dominica passports, which were reportedly sent to Morocco. This information, which came from reliable sources inside Dominica, was denied by the country's government, which boasted of its high level of passport security in Roseau, but if the passports were made by another supplier, and never made it to Dominica, then their denials are merely a smokescreen to cover the truth. 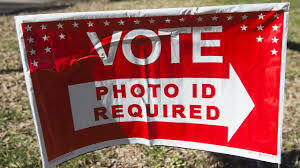 Semlex is the current supplier of voter ID cards to Dominica. A number of these passports were found in Syria, on ISIS terrorists, though there has been an effort to keep this nasty detail out of the news; the fact that CBI passports, from another country, were also found in ISIS hands, has also escaped major media attention. Back to Semlex; there is no additional information regarding the pending Belgian criminal investigation into both the company and its owner/founder Albert Karaziwan, though both company offices, and Karaziwan's home, were raided and searched in January, 2018. More than two decades ago, in the 1990s, Karaziwan was engaged in passport forgery in Europe, preparing documents to order, and charging a minimum of $10,000. * When the Swiss Government closed down his operation, he moved it to Brussels. Karaziwan later was accused of conducting an extensive blackmail operation in the Balkan countries. The proceeds of these crimes were reportedly used to fund his subsequent businesses. * This information came directly from one of the operators who conducted the covert investigation into his Zurich passport fraud operation, which resulted in the termination of his fraud, and who indicated that he is available to present evidence of Karaziwan's prior criminal conduct. 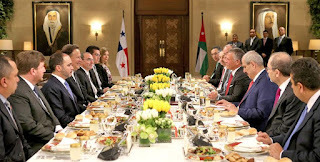 President Juan Carlos Varela, the leader of the Republic of Panama has traveled to the Kingdom of Jordan, met with King Abdullah and senior government officials, and detailed plans to open an embassy in Amman forthwith. While in Jordan, Varela visited a refugee camp, and discussed assisting in what he referred to as Palestinian refugee issues; He was not specific on his plans, but his message inferred that Palestinians would be welcome in Panama. Some Panama observers have opined that this new Middle East initiative, which appeared to come out of the blue, was Varela's attempt to distract from his current problems at home. Many Panamanians are concerned about their government's new love affair with the Peoples' Republic of China, with which it is engaged in multiple projects, worrying that their national sovereignty is threatened. 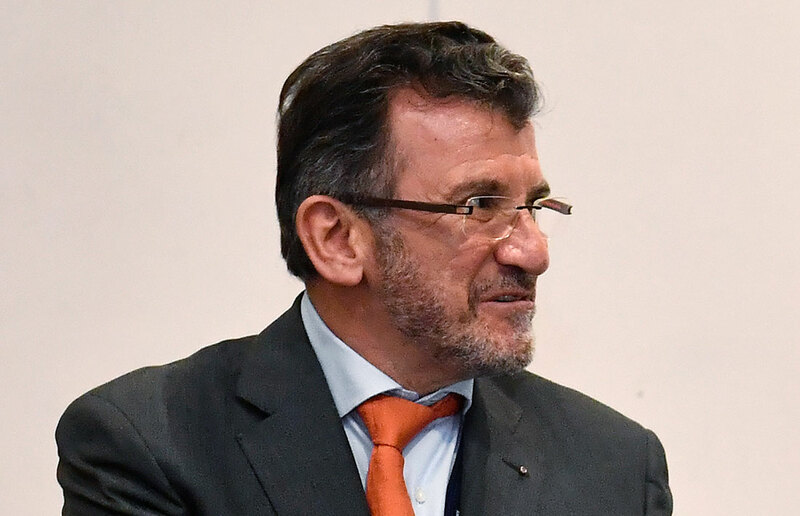 Others believe that the recent detention, in the United States, of a prominent Panamanian money launderer, Gabriel Btesh, may result in the disclosure of extremely damaging evidence of corruption, which their president engaged in, while serving as Vice President to Ricardo Martinelli, himself fighting extradition to Panama. Is Varela seeking to promote good works abroad for that reason ? In his new efforts to engage in the Middle East, Varela may unwittingly allow terrorist operatives, and financiers, entry into the Zone Libre, Panama's huge free trade zone, thinking that he is facilitating Panamanian-Jordanian trade, and assisting in relieving the plight of Palestinian refugees. This could endanger the region, promote money laundering of criminal proceeds, and increase the influence of Hamas, and other groups, in Central America, not to mention raising risk levels in the Panamanian financial system, which affect its transactions with the United States & Canada. The Government of the Gambia has cancelled the scheduled March 22 signing of a major contract with the Belgian passport manufacturer, the Semlex Group, after multiple allegations of fraud and corruption have surfaced, in Africa and elsewhere. Semlex is the company that contracted with the Commonwealth of Dominica to make its voter identification cards, and that contract has not been cancelled, although most African nations that ordered passports from Semlex have abruptly cancelled their contracts. 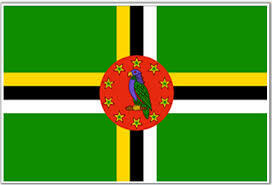 It is rumored that Semlex obtained its Dominica contract through bribery. Semlex, whose Brussels office was raided by police earlier this year, was the subject of an article here detailing the illegal issuance of diplomatic passports to dodgy recipients, in the Comoros Islands; those documents were made by Semlex, which is owned by a Syrian national, Albert Karaziwan, who was the subject of a previous passport scandal in Europe, more than a decade ago. 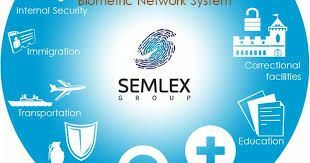 Semlex has allegedly paid bribes and kickbacks, to obtain business, to place in office individuals, who was grant them extremely favorable contracts, and very high prices per passport. One bribe was reportedly $700,000, another $1.5m. Albert Karaziwan is allegedly under criminal investigation for money laundering & corruption, according to media reports. 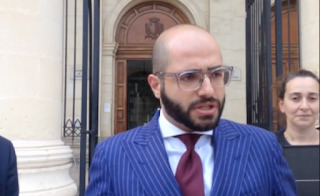 Hamidreza Ghanbari, the Iranian national who is the CEO of the money laundering, Malta-registered Pilatus Bank PLC, and who has been linked to the $115m Iran sanctions scheme that resulted in the indictment and arrest of Ali Sadr Hashemi Nejad, the bank's chairman, by US authorities, has a Dominica passport. His filing, with the UKs Companies House, attests to that nationality. 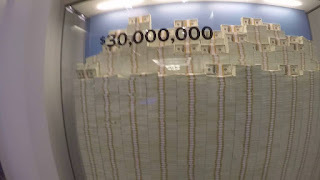 Exactly how many other Iranians, evading international and American sanctions, have Dominica passports, obtained through the corrupt government's "don't ask, don't tell" policy of handing out CBI and diplomatic passports to anyone with a pile of US hundred dollar bills, we cannot say, but there may be hundreds. No wonder Dominica is on the radar of so many law enforcement and intelligence agencies. They do not know how many Alireza Monfareds there are working for the Iranian regime, so equipped with. those prized Dominica identity documents. Perhaps the Ali Sadr case, with the full might of the United States Department of Justice behind it, will break open Dominica's secret list of 500+ illegal diplomatic passport holders, and Chinese intelligence agents, North Koreans, Russian organized crime, pro-Assad Syrians, and dozens of Iranians, will all fall out into the open sunshine. 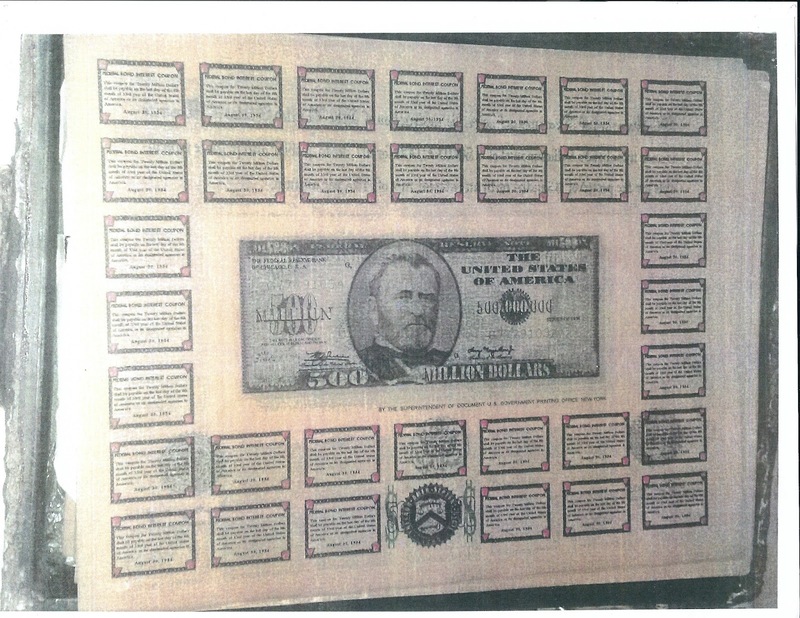 This is one of a large cache of counterfeit bills, bogus financial instruments, and outright fraudulent scams that are in the control of a Korean organized crime syndicate. The problem is that this organization has contacts with the Government of North Korea, and some of these "impossible" notes, along with the new Series 2006 USD$100 Supernote, might just end up being placed in the global financial structure, to cause a loss of confidence in American currency, not to mention a huge financial hit, on the part of victims. A well-known Calypso singer was recently given a diplomatic passport in Trinidad & Tobago, purely for matters of personal travel convenience, if you take the government's public announcement literally. easier passage through customs and exemption from bag searches." I understand that Dr. Gadsby-Dolly is a chemist, and not a lawyer, but these are all the reasons criminals and terrorist financiers buy diplomatic passports in the first place, and the countries of the Caribbean are happy to oblige them. Don't give them away like candy, please. (1) Are accredited to a specific country, agency or jurisdiction. (2) have actual jobs and tasks to perform in that jurisdiction. (3) present their credentials to the jurisdiction, and are accepted as such by the receiving state. (4) Have a diplomatic office to work out of, where they perform services for constituents. (5) Are usually native to the country that is issuing their diplomatic passport. (6) Are only granted diplomatic immunity in their assigned jurisdiction, and while in transit to and from that country or assignment. Every time a diplomatic passport is issued that does not satisfy the above United Nations treaty requirements, the possibility of its use for crime should be considered. If you were wondering how the incumbent party, Keith Mitchell's NNP, won all fifteen seats in the recent national elections in Grenada, reports from Grenada confirm that there was massive election bribery, both before, and during, the election. 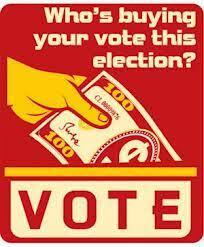 Voters were paid, in cash, to vote for the ruling party. Reliable sources have stated that a large number of Grenadian students, who were outside the country at school, were given free airline tickets to return home to vote. 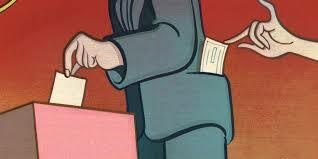 The payment of travel expenses for voters constitutes bribery under United Nations regulations, and is strictly prohibited. Additionally, unemployed youth were provided with jobs well in advance of the election, to make it appear that they were gainfully employed. In truth and in fact, they were selling their votes, and the jobs were only temporary. As we continue to explore details of our bribery investigation, using Grenadian sources, we shall update our readers. 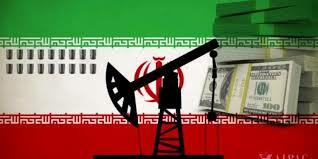 Agents from the Islamic Republic of Iran have been attempting to collect the estimated $170bn in debt, owed by the governments of several Latin American countries, who covertly purchased Iranian oil, in violation of sweeping international & American sanctions. Apparently the United States has turned a blind eye to Iran's lucrative illicit oil trade with America's Latin American allies, as it did with Asian countries who had oil needs. Why this illicit trade was never publicly exposed is not known. Iran operates a "tractor factory" in Venezuela, which is a cover for a weapons manufacturing facility, and it is possible that the debt also includes funds owed for arms shipments. Iran sold much of its illicit oil at a discount, and pursuant to generous terms, which would explain the large amount unpaid. 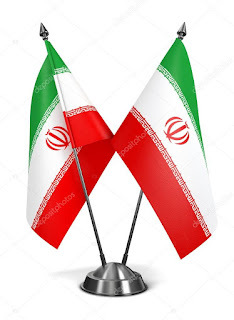 Repayment through delivery of local agricultural and manufactured goods was one of the contemplated methods, due to international sanctions imposed upon Iranian-controlled freighters, Iran could not pick up the goods as scheduled, and the balances increased exponentially. While Venezuela is at the top of the list of debtors, sources say that Ecuador and Chile are among the countries who owe obscene amounts of money. Given that both of those countries are on the Pacific Ocean, transport routes far away from US shipping lanes, as well as possible US Coast Guard and Navy surveillance, deliveries could have been effectuated, without American knowledge. 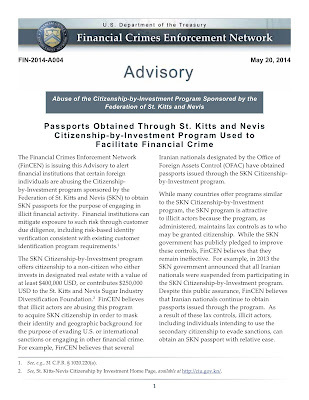 The next time some bank compliance officer in New York wonders aloud why the 2014 FinCEN Advisory on the country's CBI passports has not been cancelled, he might want to read the Indictment in United States of America vs. Ali Sadr Hashemi Nejad, 18cr0224 (SDNY). 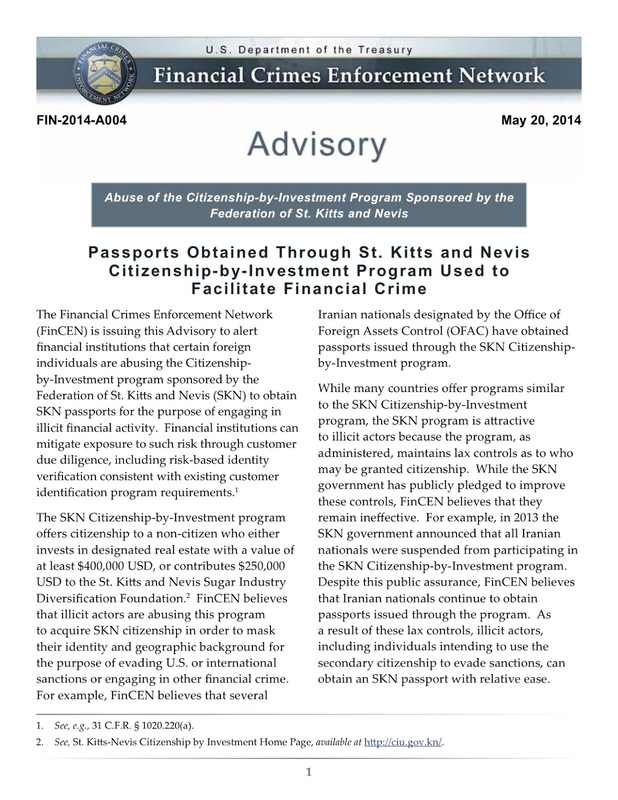 The case, which involves criminals evading sanctions in place against Iran, by moving $115m through a number of international banks, using a massive Venezuelan housing project as a smokescreen, showed how an Iranian money launderer used his St Kitts & Nevis Citizenship by Investment (CBI) passport to open an account in Dubai, claiming Kittitian nationality, to perform his opaque crimes. 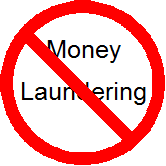 So long as St Kitts continues to ignore its obligation to perform Enhanced Due Diligence upon its CBI applicants, and still approves unsuitable, dodgy, criminal individuals, that FinCEN Advisory will remain in full force and effect. Perhaps all the other East Caribbean republics that offer CBI products might want to take notice, and upgrade their sub-standard Due Diligence programs to Enhanced Due Diligence, before they see one of these Advisories filed against their nation. WILL NORTH KOREA DEPLOY ITS FINANCIAL WEAPONS AGAINST THE US ? 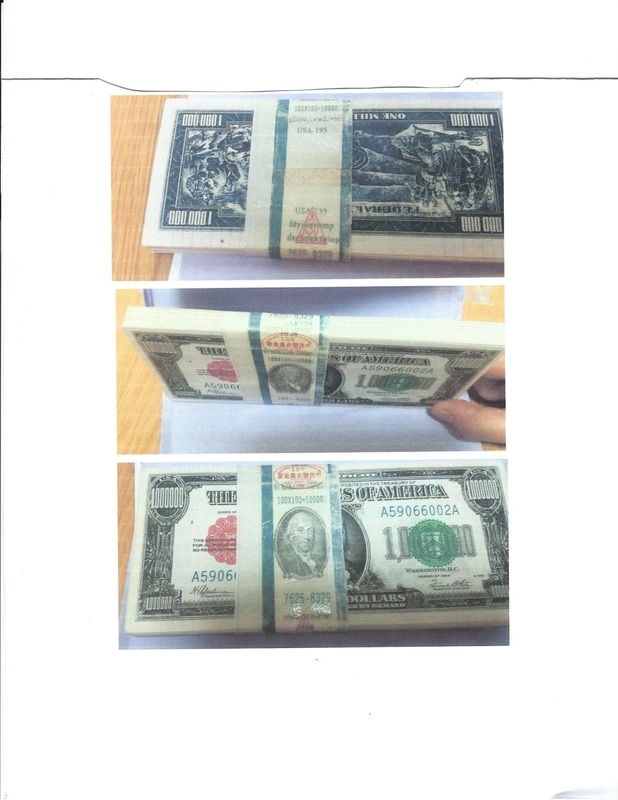 If you were wondering how the latest state-of-the-art North Korean copy of the US one hundred dollar bill found its way into Seoul late last year, it came in via China, which conducts extensive trade with companies in South Korea. 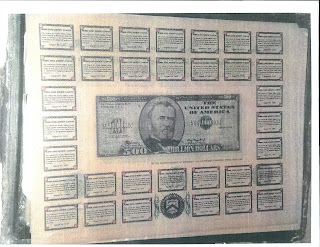 The United States Government has not yet seen fit to warn the American financial community about the so-called new and improved Series 2006 "Supernote," but it also represents a clear and present danger to Foreign businessmen who trust in the authenticity of the US currency that they acquire. 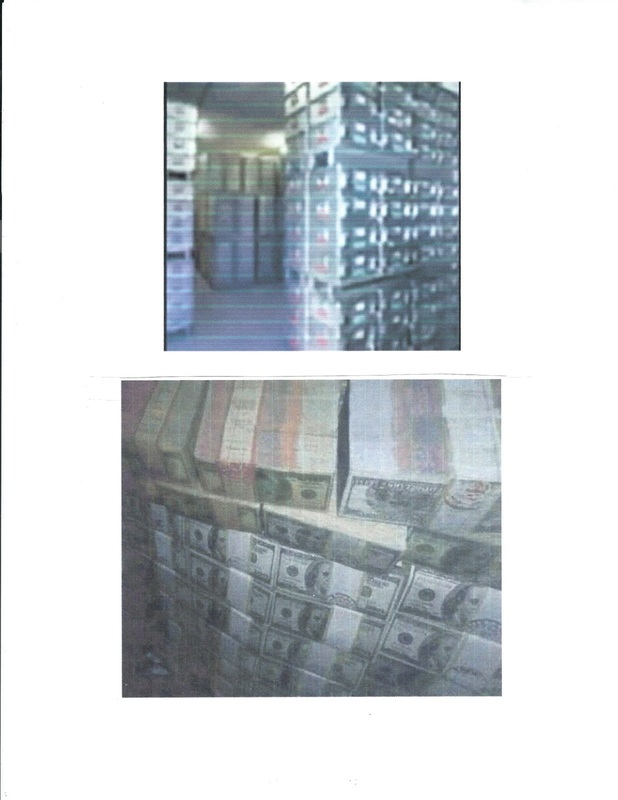 The pictures above were taken in one of a number of warehouses, located in the Republic of Korea, where massive numbers of DPRK Supernotes, as well as North Korean-made counterfeit currency of Asian countries, are, under the control of a powerful and ruthless organized crime cartel, with branches in Taiwan, and the Philippines. The cartel, whose roots are in the South Korean intelligence community (KCIA), during the time when the country was under strongman rule, has a transnational reach, and it has left a long trail of bodies in its wake. 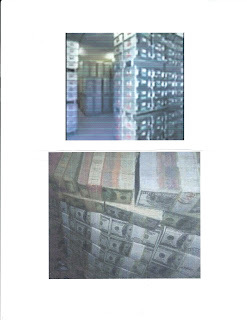 The nature of the cartel's relationship with the DPRK, which is unknown, is cause for concern; Are these basically undetectable bills going to flood world currency markets, on the orders of North Korea's leaders ? We cannot say, but someone must be asleep at Treasury, or we would have already seen handouts detailing the flaws present in the extremely well-made Series 2006. A final note: North Korea has also created totally fantastic financial instruments, of which the example below is but one. Yes, I know you think nobody would accept it at face value, but what if some do ? According to a person who has read it, the Government of Antigua recently sent a letter to the International Monetary Fund, asserting that articles that claim to expose the fatal weaknesses in its CBI program, and other acts of corruption, are harming its economy. The real reason for the complaint is much darker than the professed concern for the economy of Antigua & Barbuda. (1) Whistle blowers are not seeking to tear down the CBI programs, but solely to force the governments of the East Caribbean that offer economic passports to actually conduct Enhanced Due Diligence upon their applicants, and to decline all who are unsuitable. Applicants from high risk countries, such as Iran, Syria, Russia, and the Peoples' Republic of China, all must meet the generally accepted standards the CBI industry professes to follow. Otherwise, you have exploitation of the passports by career criminals, terrorist financiers, sanctions evaders,corrupt Politically Exposed Persons (PEPs), and other unacceptable applicants. (2) Even with bona fide CBI applicants, no country should be centering its national budget around the possibility that it will attract sufficient individuals willing to spend huge amounts of money for a passport from a low risk, Commonwealth jurisdiction. What if they fail to come ? Government's mission to create jobs, attract non-polluting industry, improve agriculture, and increase public services. Simply relying upon CBI income to pay your employees is not a long-term solution. 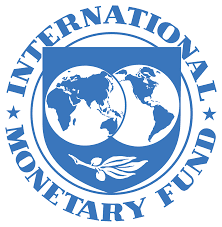 (3) the letter to the IMF blames whistle blowers for a decline in foreign investment; while articles critical of rampant corruption definitely scare off foreign investment, the real reason that there is anger at the publication of such information is that it reduces the chances that investors will arrive, and be hit up for bribes and kickbacks, in order to do business in the country. Scathing allegations of systemic bribe solicitations from Antiguan government officials permeate the stories prospective foreign investors tell us. Antigua, either clean up your CBI program, or dismantle it. Otherwise, you may find that none of your real citizens will escape the consequences, when they seek to travel abroad, and are considered, at customs & immigration desks, CBI criminals who require interrogation, strip searches for cash and financial instruments, and a close inspections of their baggage, including cutting open the seams, to search for smuggled currency and documents. The attorney, Scott Rothstein, ten years into his fifty-year sentence for running a master Ponzi scheme out of his law firm, has filed his own memorandum of law, in support of his attorney's opposition to the Government's motion to withdraw its pending Rule 35 sentencing reduction motion. The defendant, arguing that the combination of his special in-custody security status, and his attorney's busy schedule, precluded the personal contact needed to further brief the issue, filed his own memo. Rothstein is represented by the prominent criminal defense attorney Marc Nurik, who practices in South Florida and Southern California. Rothstein's thirteen-page Pro Se memorandum of law, which contains extensive citations to authority, argues that since his plea agreement does not provide for a method to terminate or withdraw it, the Government cannot prevail, as a matter of contract law. While the Government has the sole discretion to decline to request a sentence reduction, it cannot withdraw the motion, according to Rothstein. The Rule 35 (B), if if survives the Government's withdrawal motion, could at some point in the future, enable the defendant to get a much-desired sentence reduction, perhaps when the current strong public opinion against him subsides, or the next US Attorney appointed has a more favorable attitude towards him. Rothstein did assist in obtaining several additional convictions. We shall advise when the Court renders its decision on this issue. Gabriel Btesh, a fugitive from Panamanian justice, accused of money laundering and participation in corrupt activities, was detained upon arrival in Miami. Btesh has been reportedly accused of entering the United States without submitting to the required customs and immigration inspection, though a records review does not show a criminal complaint filed against him. A former editor of "Panama America" during the corrupt regime of fugitive former Panamanian President Ricardo Martinelli, Btesh lost his US Visa long ago, after he was linked to narcotics trafficking from Colombia, together with his associate, the former Minister of Tourism, Salomon Shamah. Btesh, who is a member of Panama's powerful Syrian organized crime syndicate, was involved in the illegal electronic surveillance of Panamanians that is the subject of the criminal case against Martinelli. Btesh also sold arms and ammunition to the FARC. He had been evading criminal charges in Panama by living in the Middle East. Why he returned to the United States is a mystery, especially since there are confirmed reports that he was the subject of an INTERPOL Red Notice, which mandates his arrest wherever found. It is possible that Btesh will be ultimately deported to his native Panama. As we have explained in previous articles, CBI consultancies do not advise their clients that certain jurisdictions can raise the client's individual risk levels. On a personal level, this could mean interrogation by customs officers, when arriving on an international flight, or having your bags & baggage regularly searched, or your passport photocopied by the authorities while you cool your heels in a holding area. None of these matters is pleasant, especially when you have to endure them repeatedly. 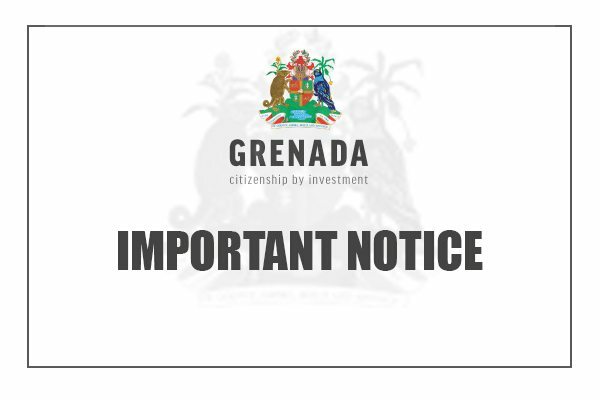 Grenada has been placed on high risk status for drug trafficking by US law enforcement and intelligence agencies, and this means anyone with a Grenada passport, however acquired, runs the risk that they may be targeted for investigation. CBI consultancies often gloss over the fact that there are any negative aspects of a specific jurisdiction offering CBI programs, instead stressing the positive points. Clients who are not from the Western Hemisphere often do not know anything about the history of the country where they are acquiring economic citizenship, are are often totally in the dark about the role the East Caribbean region played in the 1980s "Miami Vice" era, of money laundering and narcotics smuggling. 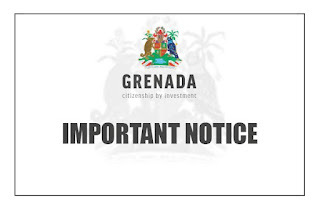 Applicants for Citizenship by Investment programs should be knowledgeable about their adopted country; in the case of Grenada, the increased attention given to it, and its residents, due to pending criminal investigations into drug trafficking activities from the island should cause any CBI applicants to prudently look elsewhere, until Grenada Country Risk levels subside;There are four other adjacent jurisdictions offering comparable economic citizenship products, at lower risk. Applicants are urged to consult a competent attorney to make an educated decision. 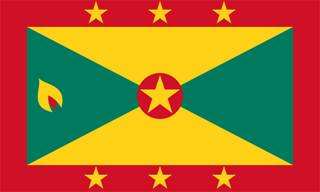 The recent lopsided victory, in Grenada, that returned the incumbent government to office, was just the latest in a string of national elections in the English-speaking countries of the East Caribbean. Voters, when given a choice between reform and progressive candidates, always choose the existing administration, or refrain from voting at all, because they are offered the proceeds of corruption to obey corrupt officials who are in office, doling out cash. In an election where a leader in the ruling party confided that he was spending money to direct voters' actions at the polls, reformers have no chance, even with members of their own political party. One source asserts that the Opposition has no chance of victory for that reason. Where does all this cash come from, you ask ? Bribes and kickbacks from real estate developers who want the government's approval to build CBI projects, which are funded by applicants for Citizenship by Investment passports; cash paid for illegal (but still issued) diplomatic passports; kickbacks from favorable contracts granted to businesses that deal with the government; and major funding from CBI consultancies, to facilitate actions in favor of the "donors." Given that returning corrupt officials to office, whether it occurs in Grenada or elsewhere in the region, perpetuate the cycle of rampant corruption, because they just repeat their vote buying in the next election. An external solution must be imposed, because North America and Europe face imminent threats, due to the acquisition and possession of CBI and diplomatic passports by transnational criminals, terrorist financiers, and corrupt Politically Exposed Persons (PEPs), all of whom have illicit goals that target the developed world. (1) Immigration authorities should be instructed to ban the entry of all CBI passport holders from entry into the countries of Europe and North America, because the abject lack of due diligence performed upon the passport holders renders their true identities suspect at best, and completely anonymous at worst. (2) If the East Caribbean countries will not then increase their due diligence to "banking best practices" levels, then raise risk levels on ALL passports from the five CBI issuing countries. The lack of access to the US & Canada will insure prompt reform, by public furor against their own governments. (3) Demand that all bogus diplomatic or official passports, not held by bona fide working diplomats or active-duty senior officials, be cancelled, and the names of holders made public, together with their photographs. (4) If all of the above are not enacted forthwith, open US FCPA and UK Bribery Act investigations against guilty government officials, and CBI developers, and issue travel warnings to tourists, to discourage them from vacationing in those countries, due to their failure to adhere to the Rule of Law, and the possibility of increased dangers, due to crime. These measures, some of which may seem extreme, will serve to reform not only the CBI programs, but hopefully bring to office progressive, and honest, leaders, who can eliminate that never-ending cycle of Caribbean CBI corruption. The vessel JBB Rong Chang 8. Now we know that the Chinese representatives for Dominica's CBI program are also up to; they are registering Chinese commercial vessels in Dominica, knowing very well that the Commonwealth has no officials conducting regular safety inspections upon Dominica-flagged ships. One of these vessels, known as the JBB RONG CHANG 8, overturned in the waters off Malaysia. Safety violations are suspected as the cause of the disaster. 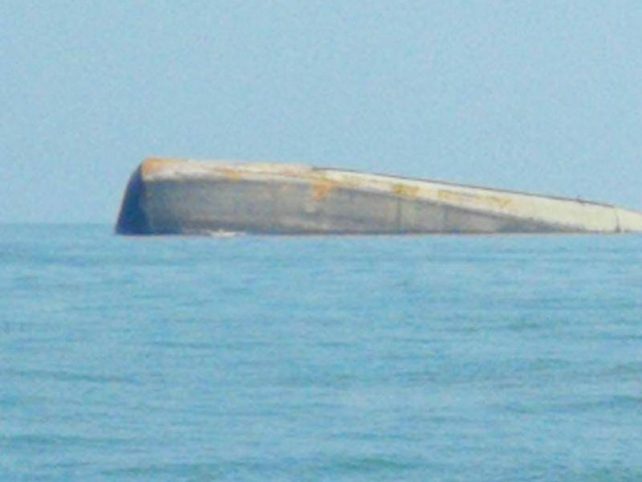 While there is no final tally on injured and dead, preliminary reports state one fatality, with fourteen missing and presumed dead, with three rescued, according to the Malaysian Maritime Enforcement Agency. Search and recovery operations are continuing. In the interest of total transparency, we would like to see the Ship's Registries, to learn precisely how many Chinese vessels are flying the Dominican flag. We already know of one Chinese tanker caught smuggling oil to sanctioned North Korea; that story previously appeared here. It might be well to remember that, though Dominican authorities assert that there is only one facility available to register ships under the Dominican flag, a second facility, operated by a Greek national holding one of those illegal diplomatic passports sold for cash to affluent foreign nationals, also is registering vessels in Greece. The rampant corruption poisoning the East Caribbean republics, including but not limited to million dollar "incentive payments," kickbacks from Middle Eastern-based CBI developers, cash payments for illegal diplomatic passports, and lucrative sweetheart contracts with government, can only come to an end through the power of the vote. Time and time again, corrupt Caribbean leaders buy their way into power, and retain it through the same means. They can only be removed after voters free themselves from their dependence upon the sale of their votes, and voter apathy, and take charge of their future. (1) The EU, USA and Canada will blacklist not only the CBI passports, but ALL passports issued by the five East Caribbean jurisdictions operating the flawed CBI programs. That means no US or Canadian visas to visit relatives who live overseas, and no holiday trips. (2) The few correspondent banking relationships, between East Caribbean banks, and the NewYork banking structure will be terminated, forcing the banks to go to UK or Europe, at high rates, to access the US Dollar system. Imagine how expats sending funds to their elderly relatives at home will feel when the costs are tripled. (3) Tourist-oriented businesses may be forced to pass along increased operating costs of funds transfers to the clients, raising prices, and causing tourists that rely upon reasonably priced vacation packages to go elsewhere on holiday. (4) The resulting decline in local economies may bring on an increase in street crime and narcotics use, and thus a decay in the safe environment which attracted your tourists in the first place. The solution is in the ballot box; when the East Caribbean republics are led by reformers and progressives, and not corrupt leaders, all the above will never occur. 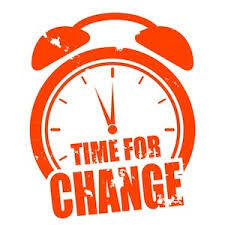 It is humbly suggested that it is high time for change. 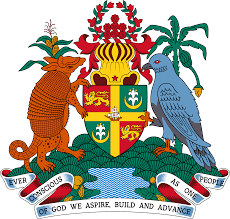 Antigua & Barbuda Prime Minister Gaston Browne, in responding to the exposure of a large real estate purchase, for cash, in Florida, strains credibility, and is frankly, an insult to the intelligence of the Antiguans who were told that nonsense on a radio program. 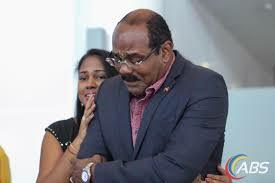 (1) The PM said the true purchaser was his son, Gaston Browne III, not himself. The truth is that title was taken in the name of "Gaston A Browne," and the son uses Browne III as his name, according to Browne family members. The PM was the real purchaser. 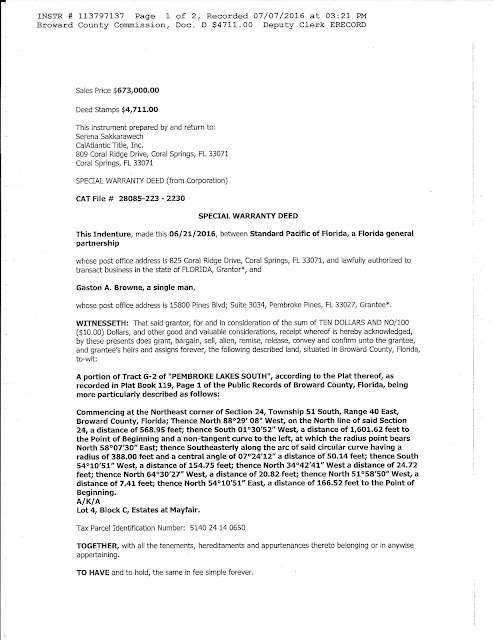 (2) The PM said Browne III "buys and sell real estate," and purchased the Florida property with profits from prior sales. Browne III is an unemployed young college student in New York, with zero assets and no income. He could not possibly have accumulated over $600,000 in a few short years. This is another misrepresentation of material fact. 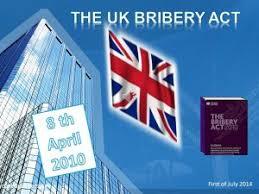 (3) The PM said it was an ordinary transaction. This is also not true; the mailing address, on the deed itself, is the office of a local real estate broker in Florida, not the street address of the property, which is the information generally listed, so that the annual tax bills go to the residence. One other point; process servers, seeking to locate the PM in the future, in Florida, will not have his address for service of court documents. (4) The PM listing of himself as a "Single Man," is an intentional effort to disguise the ownership of the property, as well as prevent Stanford International Bank creditors, or the Receiver, from seizing the property, to recover assets for victims of Allen Stanford's massive Ponzi scheme. We trust that now our readers understand that Browne's radio statement were merely smoke and mirrors, to confuse and mislead the listeners. He is the true owner of that expensive property. If you were following last year's travails of the now former Tourism & Investments Minister, Asot Michael, detained upon arrival in the United Kingdom, and interrogated about the suspected payment of a very large bribe paid by a UK national, you may know that he was cashiered by the Antigua Prime Minister Gaston Browne. You may have missed where PM Browne gave the order to sack Michael; it was from the Kingdom of Jordan. Why is this both significant as well as troubling ? Browne, who had come from a CBI investment conference in Montenegro, was not in Jordan primarily to meet the King, though that was on his offficial itinerary. 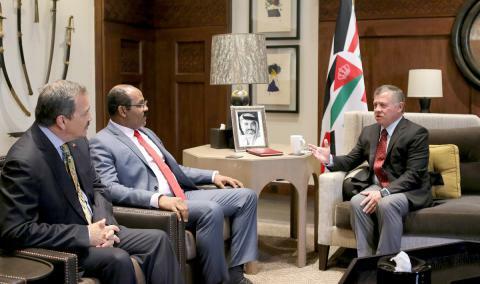 He was in Jordan to conduct a meeting with a number of affluent Palestinian nationals, to detail Antigua's Citizenship by Investment or CBI, program. This meeting was neither public, nor listed on his schedule, because if it became public knowledge that Browne was offering CBI visa-free travel privileges to the countries of the European Union, to Arab Palestinians who are members of, and agents for, Hamas and the Palestinian Islamic Jihad (PIJ), globally sanctioned terrorist organizations, Antiguans might think twice about retaining him in office. Specially designated global terrorist groups are generally the only Palestinians with six figures, in cash, to throw around, and that valuable Antiguan passport would open doors all over not only Europe, but the countries of the Commonwealth of Nations as well. The mere fact that Browne chose to hold covert meetings, in a high-risk part of the world, with even higher risk individuals, speaks volumes about his utter disregard for normal risk management policies and procedures. Palestinians have begun seeking to acquire CBI passports, from the East Caribbean republics that offer them, and have even sent delegations to other countries in the region. There is no amount of enhanced due diligence that can make up for soliciting known terrorist operators, to obtain a quick dollar, but in the process leaving the Western democracies exposed to penetration by a sworn enemy. Go somewhere else to flog your CBI passports, please, Mr. Browne, lest you give one to someone carrying a dirty bomb into Central London. 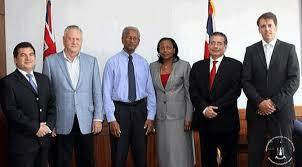 HOW DID ANTIGUA'S PRIME MINISTER "EARN" THIRTY MILLION DOLLARS ? In 2015, the Prime Minister of Antigua and Barbuda, Gaston Browne, brazenly declared, in an open meeting of Parliament, that his net worth was thirty million dollars. After being in office for only one year, his staggering wealth was larger than that of the presidents of most Fortune 500 corporations, and the question many Antiguans have been asking is: what was the Source of Funds ? (1) So called "Incentive fees," which were payments made, by foreign investors interested in constructing major real estate projects in Antigua & Barbuda. According to these sources, these projects were never built. (2) Payments from convicted Ponzi schemer, R Allen Stanford, consisting of illegal campaign contributions for the 2004 national elections. 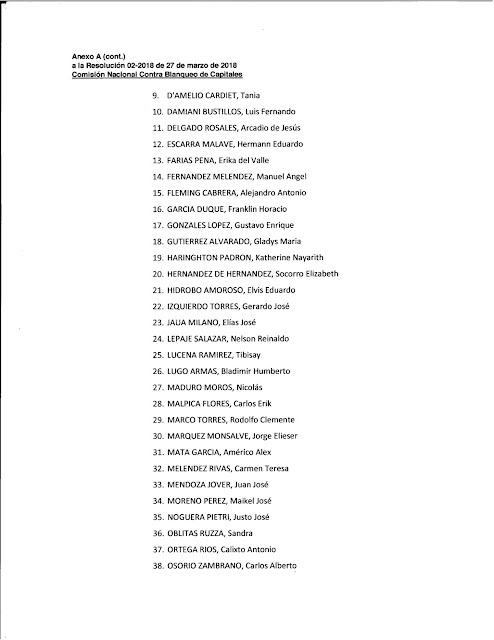 (3) Payments from Odebrecht and its subsidiaries. (4) Payments from other prospective CBI developers, ( e.g. Range Developers, Sweet Homes). (5) Payments from purchasers of illegal diplomatic passports. Given that prime ministers are not allowed to engage in any acts that constitute a Conflict of Interest, and are prohibited from private business in general, a forensic audit of Browne assets in in order to determine whether he should be charged with corruption crimes, and his assets, wherever found, be seized and forfeited for the use and benefit of the people of Antigua and Barbuda. WHERE DID ANTIGUA'S PRIME MINISTER GET $673,000 TO PURCHASE A HOME IN FLORIDA ? 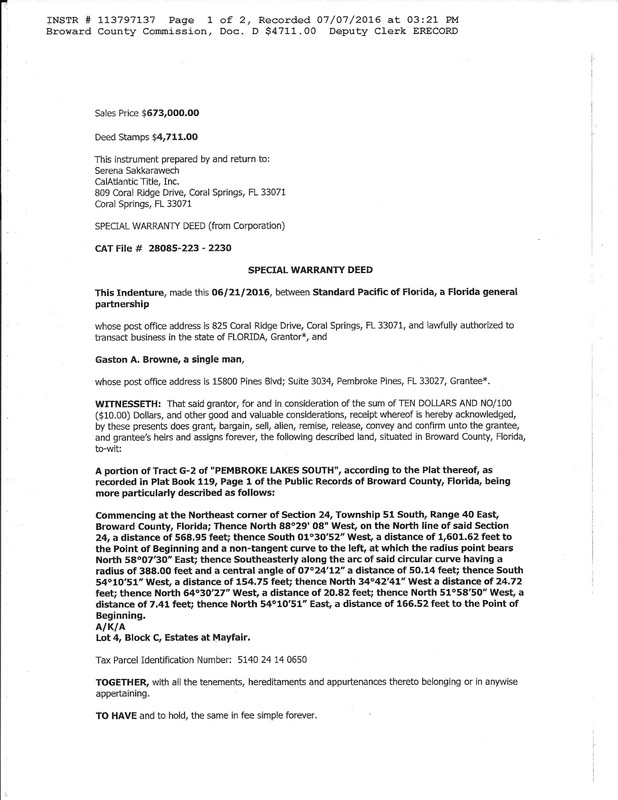 This is a 2016 Special Warranty Deed transferring title to improved real estate, located in Pembroke Pines, Florida, to Gaston Browne, the Prime Minister of Antigua and Barbuda. Note that it was an all-cash transaction, and the Prime Minister paid $673,000 for the property. Where exactly does a Caribbean government leader, earning only a small salary, get over six hundred thousand dollars to purchase a home in another country? We have verified that there was no mortgage financing. Mr. Browne needs to answer some questions about this purchase. (1) Browne's mailing address is listed as a real estate broker's office in Florida, not the actual property address, which is located at the Estates of Mayfair. (2) Browne took title as "a Single Man," though we know that he is married with a family. Florida law provides that a wife is entitled to a portion of all realty owned by a husband during the marriage. It is not known whether he perjured himself by misrepresenting his marital status at the closing. Why is Browne's wife not on the deed ? She is from Antigua's Bird family, as is the wife of his attorney, Dominica's Anthony Astaphan. The Birds were closely linked to former banking regulator, Leroy King, who has been fighting extradition to the United States for a decade, and many observers believe that, when King is eventually removed to the United States, he will quickly cooperate with Federal prosecutors, and name all the members of the extended Bird family as recipients of massive bribes and kickbacks. That is why his extradition has reportedly been delayed for more than ten years. If the Receiver appointed to assemble assets, to pay the victims of R Allen Stanford's Stanford International Bank, seeks to recover from the extended Bird family, he could seize the assets of Browne, claiming an interest in the proceeds of crime, if his wife was on this property. he could also force Browne to identify the Source of Funds for the purchase, which might incriminate him. Browne is alleged to own several; properties in the United States, the value of which far exceed his ability, using his known income and assets, to purchase them. 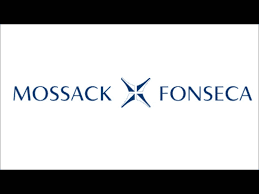 The Panama City law firm of Mossack & Fonseca, exposed by the Panama Papers as the favorite destination of corrupt Politically Exposed Persons (PEPs), tax evaders, and financial criminals of every stripe, has announced that it will close. Only a skeleton staff will remain, to answer court process and supply information to law enforcement, as needed. The firm came to symbolize the global use of offshore corporations as a financial obscenity that has no place in legitimate commerce. (2) The negative media coverage. (3) The response of the financial community. (4) Subsequent actions by Panamanian regulators, prosecutors and law enforcement agencies. Whether the three senior partners of the firm will ever be convicted, one year after their arrest, remains to be seen. Some current leaders in Panama could fall, if the arrested M & F partners disclose their corrupt use of the law firm for financial gain. The attorneys who worked at M & F have largely transitioned into other jobs; law enforcement seems to have no interested in prosecuting them, so er will be watching to see whether they follow in their former bosses' footsteps, as attorney-criminals. As we have detailed in a prior article, only a very small percentage of the Antiguans holding their country's diplomatic passport are actually accredited diplomats. The vast majority of the others are a mixed bag of dodgy foreign nationals, who have paid a princely sum for their treasured travel document, and local politicians, party members, friends and family, none of whom are legally authorized to receive one. Under international law, diplomatic passports can only be issued to working diplomats, who are posted or assigned to a specific mission or task, and whose credentials must be presented, and accepted, by the authorities, at the jurisdiction where the diplomat is assigned to. The holder cannot use it for pleasure travel; he must use his personal passport. It is not a trophy, suitable to show off at parties, but restricted to actual diplomats. So why does the Government of Antigua give them out like candy ? (1) Members of the Parliament of Antigua & Barbuda parliament, and their spouses. (2) A individual knighted by Antigua. (3) A person designated "National Hero." (5) Government ministers & their wives. (7) The former Attorney General. (9) The sales and marketing manager, New York. (10) The Registrar of Lands. (13) The children of most of the above. Honestly, is there ANYONE in Antigua government that does not have a diplomatic passport ? One wonders how many times these "diplomats" have used their bogus documents to breeze their way past customs and immigration agents at airports in the developing world, used them to evade payment of costs and fees, and even attempt to evade arrest when detained, claiming "diplomatic immunity," which they do not, under any circumstances, possess. All of the foregoing passports should be recovered, and cancelled of record; Antigua needs to clean up this mess, before it is embarrassed by someone trying to use it to facilitate a crime. A final note: diplomatic passports are furnished without charge to bona fide diplomats. Did these individuals pay someone in Antiguan government to obtain them ? WHICH EAST CARIBBEAN OPPORTUNISTIC COUNTRY WILL GIVE KIM JONG-UN A PASSPORT ? Will the Fire Sale in CBI passports, offered by five Eastern Caribbean republics, who have reduced their prices in the aftermath of last year's hurricane, allow still more career criminals, terrorists, sanctions evaders, corrupt government officials, and assorted bad actors, to get an invaluable identity document, often in another name, to facilitate evil acts. 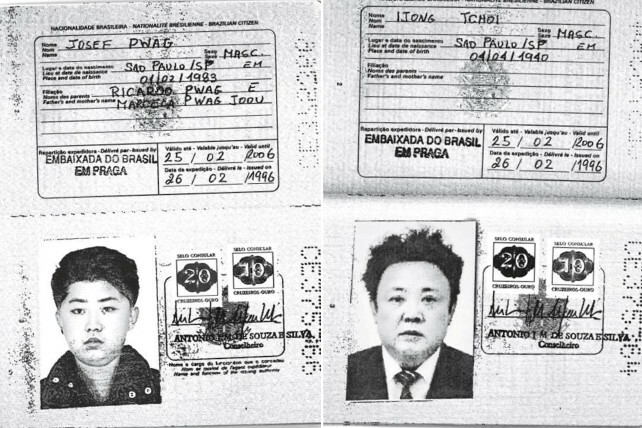 Look at the image above; it is a newly-released photograph of two legal Brazilian passports, complete with aliases, obtained by the past & present Supreme Leaders of North Korea, who is considered by experts to be the greatest threats to peace. Jong-Il, the father, then the leader of his country, also possessed such a bogus, yet totally legitimate, document, as you can see. The Kim family reportedly used the passports in international travel throughout Asia, as evidenced by visas. I can show you literally dozens of CBI and diplomatic passports, obtained at extraordinary expense from one of the five East Caribbean governments, sold to individuals presently under arrest, or in custody facing criminal charges, all over the globe, often using high-powered, by borderline unethical global consultancies, and who would never have passed a genuine enhanced due diligence investigation. They are sanctioned Iranians, Chinese white collar criminals, Russian organized crime, and sundry other fugitives from justice. Until the CBI programs are cleaned up, you can expect Kim Jong-Il to be acquiring a Dominica, Antigua or St Kitts passport anytime now, making the issuing country radioactive. According to an eyewitness, a senior Antigua government officer bragged that he was going to spend USD$50,000 per day, to pay voters not to vote in the upcoming national elections. 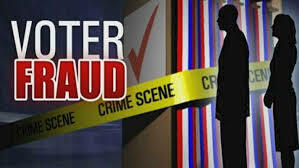 He reportedly stated that he will give each voter $20 to surrender his voter identification card, which is a prerequisite to be allowed to cast a vote in any election in Antigua. It was further alleged that he intends to spend an equal amount of his money, each day, until the election, to insure that the Antigua Barbuda Labour Party (ABLP) wins, and remains in power. Bear in mind that either giving, or receiving anything of value, regarding the casting of a vote in an election, to influence the vote, is a crime in Antigua and Barbuda. Officials in the Labour Government have threatened several whistle blowers with arrest, have taken steps to insure that any arriving journalists are detained and deported, and initiated nasty character assassination techniques upon their opponents. Their arrogance, and utter disregard for the Rule of Law knows no bounds. They believe they can act with impunity, influence and direct the results of the national election, and continue to commit corrupt acts, and other crimes, solely to illegally remain in public office. We trust that the people will have the final say in who will govern them. If you want to see an example of how the Dominica Citizenship by Investment (CBI) program plays fast and loose with the truth, to aid criminal conduct, take a close look at the two passports in this article. They are his original Egyptian passport, and his CBI passport. Notice that a middle name was substituted for his legal, and correct, last name, thus giving him a new, sanitized identity that neither immigration agents, nor law enforcement investigators, will be able to connect him to. This means that Due Diligence investigations on Dominica CBI applicants were never performed, as we suspect, and tailored alias entered in the passport, solely for criminal use. No wonder so many applicants have sought Dominica CBI passports; they are an effective stay-out-of-jail card. The Prime Minister of Antigua & Barbuda has accused this blogger, as well as those individuals who publish our articles on other websites, of taking money from the Opposition, to write about Antigua's corruption, failed CBI, and illegal diplomatic passport programs. The Prime Ministers of Dominica, as well as Grenada, have made similar slanderous statements, and we suspect the leaders of St Lucia will get around to defaming us sooner or later. I do not accept, directly or indirectly, anything from anyone in the Caribbean, or elsewhere, to write about financial crime, wherever it occurs. We seek only the naked truth, and the leadership of the five East Caribbean republics that offer CBI programs need to clean up the rampant corruption that exist in their houses. When there is true transparency in those nations, I will stop exposing each and every corrupt act that I uncover. Shoot the messenger is the last resort of the scoundrels who fail to serve the people that elected them in good faith.